Deeper than sky blue but lighter than navy, Cobalt blue is a colour that shouts prominence and pride. 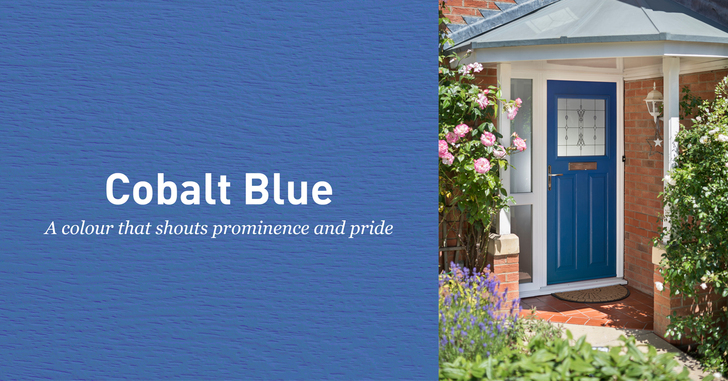 The boldest hue within this new range is also said to inspire a sense of safety and serenity, making it the perfect option for a new front door. Teamed with a crisp white frame and chrome fittings you’ll definitely turn heads with Cobalt Blue.